Ansley Park is a unique mix of renovated, historic homes and spacious new construction. Architectural styles in Ansley Park are diverse; the most popular include Colonial, Federal, Tudor, and Italian Renaissance, as well as Craftsman bungalows. 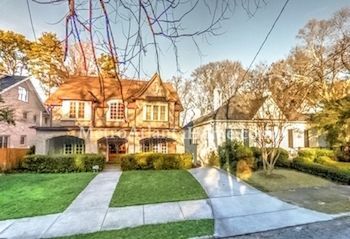 Designated as a Historic District on the National Register of Historic Places, Ansley Park continues to be one of Atlanta’s defining neighborhoods. Edwin P. Ansley purchased the 275 acre plot of land in 1904; development of the neighborhood started shortly thereafter. With the dawn of the new century came automobiles instead of streetcars, and Ansley planned the new neighborhood accordingly. Today, you’ll still see his vision, as Ansley Park boasts long, wide, winding roads instead of structured streets. Ansley also made sure to insert numerous parks and green spaces into his plans; his goal was to attract Atlanta’s elite, and he succeeded. Ansley Park is still home to Atlanta’s most prestigious families and residents, and one of the most exclusive areas inside the city limits. Architectural styles in Ansley Park are diverse, offering a little bit of something for everyone. While most homes incorporate traditional styles, in recent years, numerous modern and contemporary homes have appeared, as well. 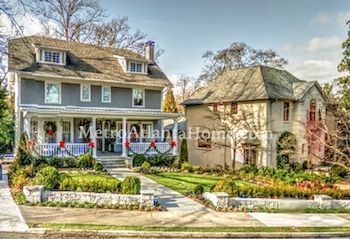 Most homes have been renovated and remodeled, echoing the classic style of the early 1900s. There is a healthy mix of condos and apartments in Ansley Park, as well, most of them with vintage details and beautiful architecture. Ansley Park was designed with numerous parks and green spaces, including Winn Park and McClatchey Park; most are within walking distance to any residence in the neighborhood. Not only are Ansley Park homeowner’s blessed with lush landscaping and historical houses, but also with easy access to Atlanta’s beloved attractions. The Atlanta Botanical Garden and Piedmont Park are both within walking distance. Take a short drive to the Woodruff Arts Center and enjoy the Atlanta Symphony Orchestra, the High Museum, and the Alliance Theatre. The Center for Puppetry Arts is a quick drive off 17th Street, as is Atlantic Station. 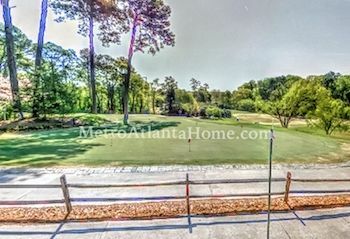 The Ansley Park Golf Course is in the neighborhood itself; established in 1912, visitors can play 9 holes, workout in the fitness area or on the tennis court, take a dip in the swimming pool, and enjoy dinner in the private, members-only restaurant. And who could forget all the shops, restaurants, and nightlife that makes Atlanta one of the most popular cities in the southeast?